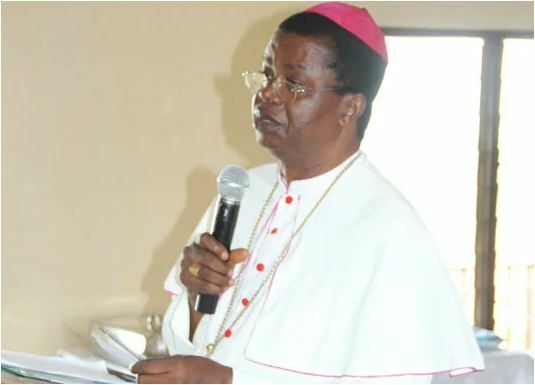 The Catholic Bishop of Awka Diocese, Most Rev’d. Paulinus Ezeokafor, has claimed that the Fulani herdsmen allegedly killing Nigerians are “acting on a written instruction”. Ezeokafor said the purported inaction and prolonged silence of the Federal Government over the killing of two Catholic priests and 17 worshippers in Benue State was an indication that there was a calculated attempt by unseen forces to wipe out Christians in Nigeria. Speaking yesterday through the Chancellor of the Diocese, Rev’d. Fr. (Dr) Francis Chidume, during a peaceful protest against incessant killings of Christians all over Nigeria by herdsmen, Ezeokafor said it was regrettable that the federal government was unable to defend the lives and property of the citizenry. He said, “It is unfortunate that since the killing of the priests and parishioners, the President is yet to make any statement, proving that the so-called Fulani herdsmen are acting on a written instruction. “The protest which is going on simultaneously across the country is also to remind the Buhari-led administration that the protection of lives and property of the citizenry is his constitutional responsibility, and anything short of that is failure on its part.